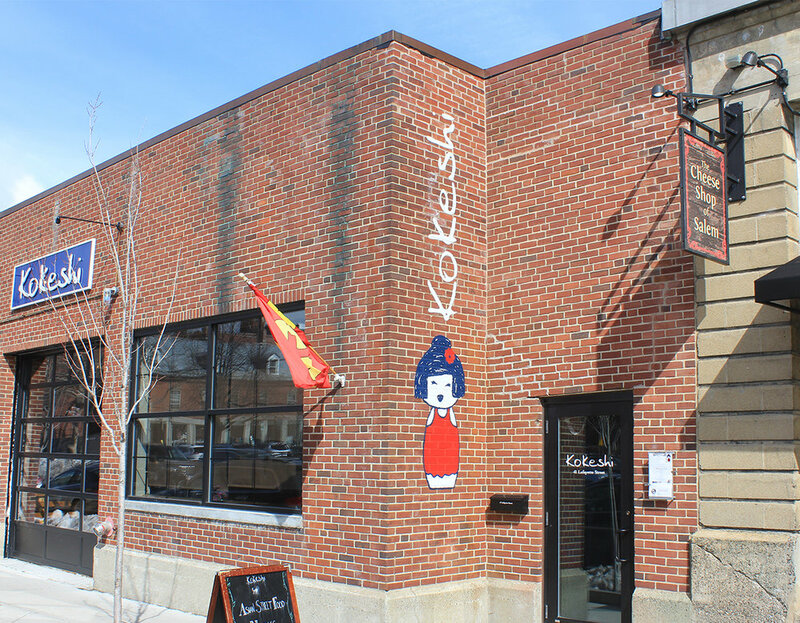 The owners of Kokeshi knew that they wanted something different, long before they opened. 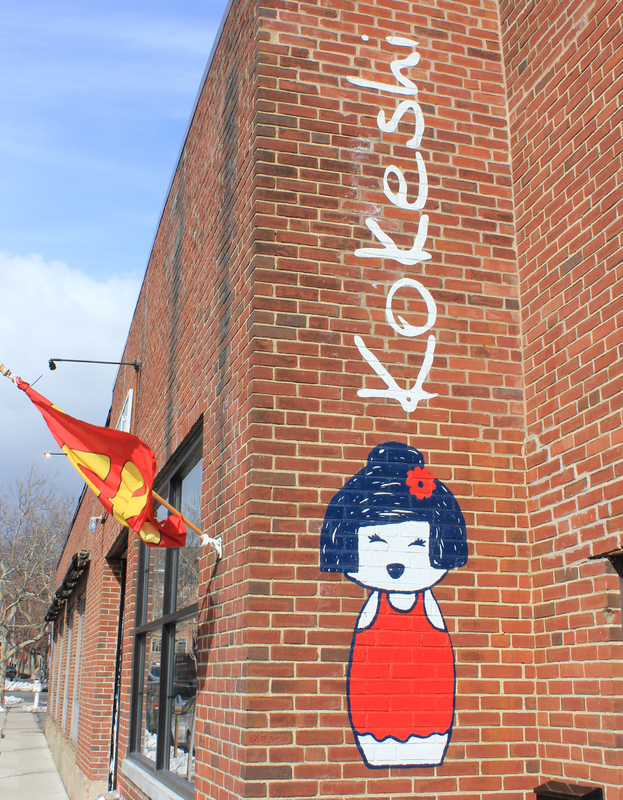 We designed the logo and all branding and collateral for the restaurant, so when it came time for an exterior mural, we were the go-to. 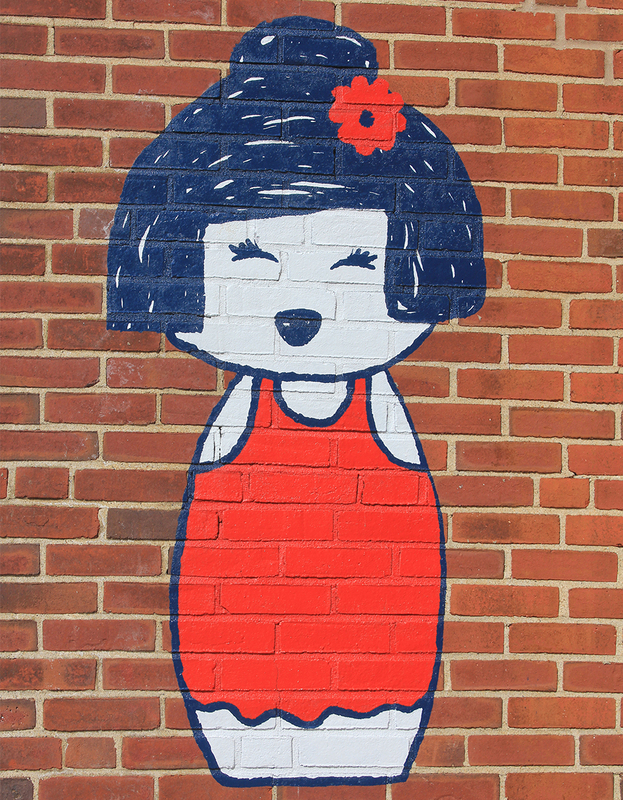 Being that they wanted a permanent piece painted on brick in a historic downtown area, it wasn't an easy approval process but they were able to pull it off. You don't find too many of these in Salem. We painted for three straight days in very cold and windy February weather so that the mural would be ready for the grand opening.